Kauai Volunteer Week 2018 is happening this month on our beautiful island of Kauai. If you live on island or happen to be visiting and would like to give something back to the aina (land), check out the ways you may serve Kauai, no matter what part of the island you are on. Kauai Volunteer Week 2018 runs from Sunday, April 15, 2018 to Saturday, April 21, 2018. 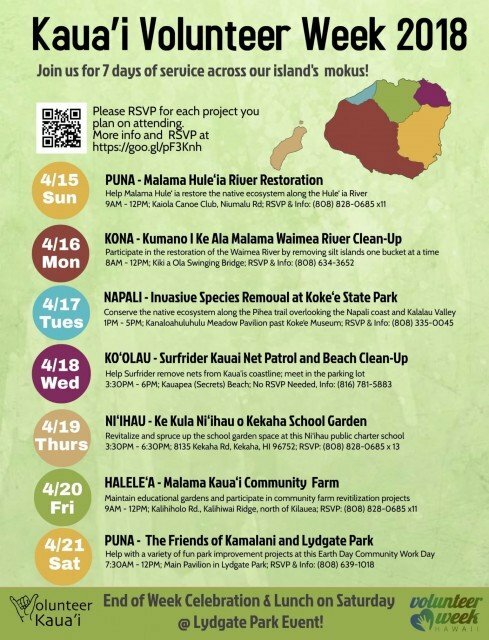 If you are interested in volunteer opportunities on Kauai, but will not be on island for Kauai Volunteer Week 2018, look no further! 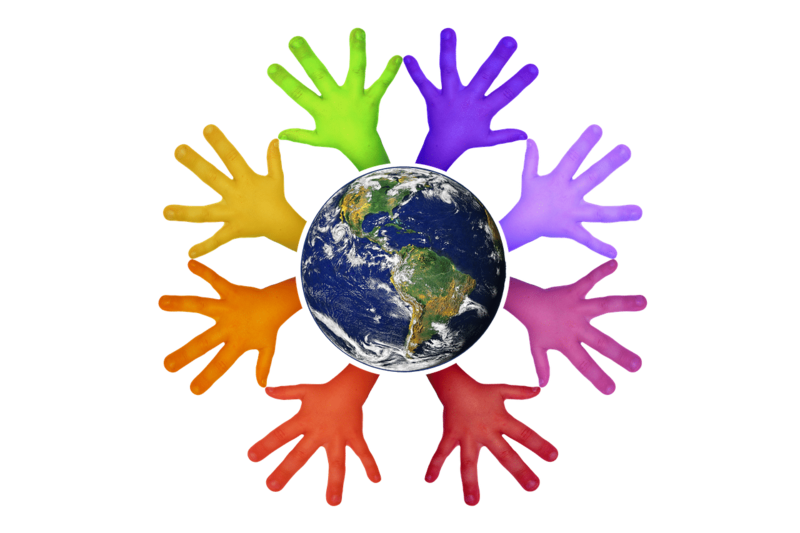 Volunteer Kauai has collected a list of organizations focused on sustainable economic development initiatives who accept individual, visiting volunteers. Opportunities fall across a variety of areas and locations. If you have a group of 5 or more and are interested in organizing a specific group service project or trip around your interests, you may contact Volunteer Kauai.